It’s written in Go, supports numerous backends (Docker, Swarm, Kubernetes, etc. ), supports HTTP/2 and WebSockets, and has an elegant, Angular-based Web UI. The Coach is a YSlow alternative for making Web pages faster. It supports HTTP/2, is an active project, and is open source. Slow loading website? Speed it up to increase conversions. Nobody sticks around when a website takes ages to load. 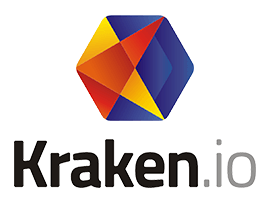 Kraken.io can optimize and resize your images to speed up your website and increase your conversions. Lever OS lets you build and deploy microservice-oriented backends with no devops involvement. Web performance guru Tammy Everts shares some findings on why we should make our pages faster, as well as some tips on creating the illusion of such. Note: Audio not great. Heroku has long been criticized for the cost of having an SSL endpoint (without using something like CloudFlare) so the new free SSL option (in beta) is very welcome. It doesn’t come cheap, but if having 64 cores and 2 terabytes of RAM at your disposal within a single instance sounds appealing, it’s now possible on AWS. 'Web performance rules invented for desktop web access need to be revised for the mobile era', says Mathias Schäfer. CI is a process we can use every moment of our work day to ensure that the software we’re building is improving and not decaying. The dark side of microservices: You can’t just focus on the good parts. This post goes through the main problems they can cause, and how to avoid them. Code in oceanside Santa Barbara and build the software that builds the world. Procore needs an Site Reliability Engineer to help lead our DevOps team. We believe in agile, test driven dev and emphasize collaboration and ownership. Allows you to support HTTP/2 and SPDY simultaneously, something standard NGINX doesn’t support. May 31st, 2016. The Chromium project will switch the negotiation protocol by which it decides whether to use HTTP/1.1 or the newer HTTP/2. A look at an interesting case of User Agent strings being used as a SQL injection vector on Web apps. Understand real world patterns and approaches in a live environment without any downloads or configuration. DreamFactory auto-generates APIs from nearly any database, instantly. Out of the box support for V8js, Node.js, PHP, and Python for custom scripting. Previously known as the official Let’s Encrypt client, Certbot is an easy-to-use automatic client that fetches and deploys free SSL/TLS certificates for your web server.